Back in the days, it was incredibly difficult for budget hotels to sell their rooms against major hotel chains. This is because these bigger hotels are able to spend a ridiculous amount of money on every advertisement platforms available, from magazines, TV, to radio. They even made deals with the major travel agencies around the world to make sure that they are the only ones that are being noticed. Nowadays, digital media and online booking platforms dominate the marketing scene for hotel businesses all over the world. It’s able to reach a wider audience with a significantly less cost, helping to boost the sales of hotels of any size. As technology develops, we’ve become more and more attached to the tools we use, and we can now use it to look for a hotel wherever we go. Moving all of the bookings inquiry on to digital platform also has an added benefit of accurate data storage and analysis. 57% of hotel bookings are now done online, and every guest needs to leave their personal information like their age, nationality, and expected date of stay. This information is crucial for hotels, as they can use it to design a marketing strategy around their target demographic to ensure more conversion and sales. What’s more is that 50% of travelers are now browsing and booking from their mobile devices. This means that it’s become increasingly important for hotels to make their website mobile-friendly to not miss out on the opportunity to appeal to these mobile target groups. Digital technology has allowed the booking process to go more smoothly than before. Gone are the days when you have to pick up a phone and call the hotel by yourself. Now, the guests can log on to their favorite booking sites or on to the hotel’s website directly and make a booking there. On the side of the hotel, because everything is done online, they can manage and take note of each guest specific requests in their own words. It helps the hotels to take care of the guests, and the guests are served even before they arrive through the door. It might be easier for hotels to reach out to their guests now, but there are some traps that many businesses fall into. First, they often clutter their website or advertisement page with excessive information. This will make them look cheap and unfocused, which could frustrate the users, making them bounce from the page. You need to make sure that the designs elements of both of these are coherent and effective at conveying the actual hotel and the brand idea to the guests. This way, they know what to expect consistently from your business. The second problem with digital advertisements is that there are many distractions on the site that might deter them from completing their conversion. Even the widgets on your own website can sidetrack the users from finalizing their booking. You need to make sure that everything on the site funnels down to them completing their booking. Social media platforms are like advertisement gold mines. They can be used to drive up brand awareness, engagement, conversions, and sales. It’s no wonder why advertisements on these platforms are becoming an industry standard. Facebook is the biggest advertisement market there is, with billions of dollars worth of revenue coming from business advertisements on the site alone. Instagram is still rather far behind, but it offers its users a unique opportunity to present their services. Hotels can show off their properties and available activities on these sites to draw in the crowds. Then, they can engage with the crowd they have using an experienced and creative social media manager who publish content and interact with the followers. Blogging is also another way to advertise your brand discreetly. You’re presenting yourself as an authoritative figure in a specific niche. People will trust you more as a brand, and when they have to make a decision, you’re more likely to be their first choice. Not to mention that it’s great for your SEO ranking as well. Every online platform is a new opportunity to expose your brand name to a new audience. This makes competent digital marketers a highly sought-after asset. Some tourists prefer to see the highly edited photos of the best angles that the location has to offer while the others care more about the nitty-gritty details of the hotel. As a hotel business, you need to understand what the target audience needs from you and base your branding effort on that. 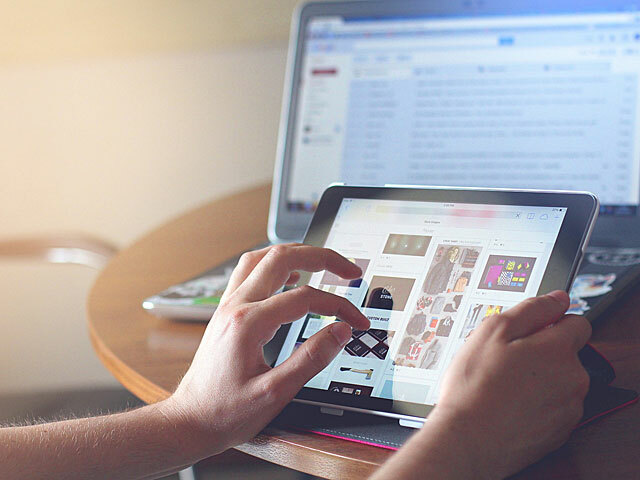 Web Connection Asia specializes in digital media solutions for hotels, get in touch today to see how we can help.